Now we shall turn to the second obstacle in the spiritual path, viz. wealth, and see how he met this impediment. We have already pointed out how categorically he refused to acquire what he termed a ‘breadwinning education’, that is to say, an education that will give wealth, name and fame. He never gave a thought to these things. 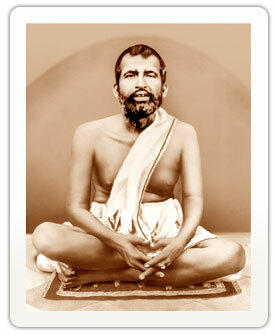 Not only that, when wealth was offered to him, he would feel extremely uncomfortable; for he had banished from his mind all thought about wealth, discarding it as of no more value than a clod of earth: “By reasoning he came to the sure conclusion, that a person who had made the realization of Brahman the only goal of his life could not derive any help whatsoever from gold any more than from a lump of earth. Therefore, repeating again and again, ‘Rupee is earth and earth is rupee’ he threw them both into the Ganges.” By following this discipline this idea was so firmly engraved in his mind that any suggestion of possession would raise, as it were, a storm in his mind. Having thus observed the Master for many years how he practised renunciation, not only from the conscious plane but even in the unconscious, Swami Vivekananda in his Bengali hymn to the Master describes him as Tyagīśvara, supreme among the renouncers.